1: I am looking for a custom built computer, but I don't know what I need? How can you help me decide? 2: Do you use high quality parts in your custom built PCs? 3: Where you can ship my order to? 4: How much shipping will be charged for a custom built computer? 5: Why should I buy from you, instead of some of your other larger competitors? 6: Where are you situated? Do you have a computer retail store? 7: How quickly can you get a custom built computer to me? 8: I found a PC for cheaper than you are selling? 9: What is the "burn in" process? 10: What after sale services and warranties do you offer for your custom built computers? 11: I liked one of your custom built computers, but it is slightly more then my budget. Can you help me with this? 13: Do your PCs come with operating system? A: Don't worry. Here at Evtech we help our customers design the custom built PC of their choice by guiding them every step of the way. We aim to make our website as informative as possible and the upgrades options we offer are designed to ensure that you can customise your PC but at the same time are not bogged down with too much information. Apart from our website, we also have friendly and knowledgeable staff available via phone on 012 653 0033. Our team of seasoned PC designers will provide you with key product information, helpful suggestions and recommendations to meet your needs. They will even alert you to possible problems with your specification. To start simply let us know that what you would use your new custom built computer for and your budget? This will allow us to send you a targeted recommendation and walk you through all the available options so that you can make an informed decision. Just send us an email or call us on 012 653 0033 to get started. A: We only use quality PC parts and components. Our product range comprises brands such as INTEL, AMD, ASUS, BIOSTAR, KINGSTON, GIGABYTE, MSI, MAXTOR, SEAGATE, SAMSUNG, LG, LITEON, PHILIPS, NEC, XFX, FOXCONN etc. If you buy a custom built PC from us you can be sure that your PC will be built with the best of care using quality components. A: We can ship to any address in South Africa. At present, however, due to excessive shipment charges and the difficulty of servicing warranty outside the South Africa, we don't ship overseas at the moment. For credit card/debit card payments items will only be shipped to card billing address. For other payment methods such as bank transfers, bank deposits etc we can ship to any South Africa address provided by the customer. 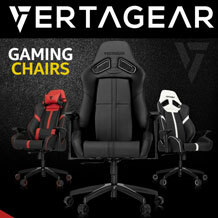 A: The shipment charges are for our custom built computers and components vary depending on shipping address, type of shipping service, order value, size and weight of the order. When you add a computer to your cart you will see exact shipment cost and shipping options available for your order. 5: Why should I buy from you, instead of some large company like Dell? A: At Evetech, we are proud of being the producers of some of the best custom built PC's available in the South Africa. 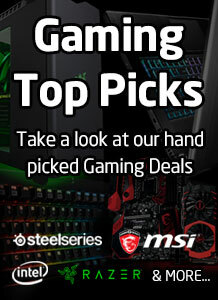 Also, we don't over price our PC's which means we have some of the best deals around. They may be hundreds of rands cheaper than the high street price for similar PC's, but if you do a benchmark test you will find that they can outperform most of their competitors. 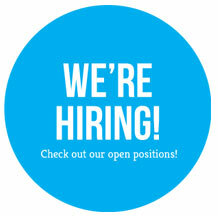 A: Evetech Solutions is based in Pretoria, Gauteng. We operate as an online internet business as well as an offline mail order and local high street business. A: We ship a custom built computer in approximately 4 working days of receiving cleared payment, compared to the average of 12-20 working days from most of our competitors. At an extra charge, we also offer priority build and ship services, which mean that an order placed on Monday would probably be delivered to you on the Friday of the same week. 8: I found a PC part for cheaper than you are selling? 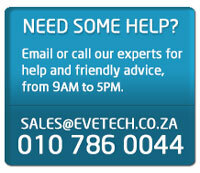 A: At Evetech we offer some of the lowest prices in the South Africa. We regularly hear from customers who comment that they saved hundreds of rands by shopping at Evetech. 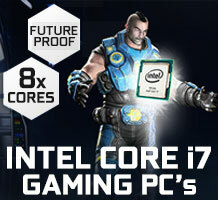 However, on a few occasions we also have some customers who say that they could get the PC cheaper from elsewhere. We understand this. 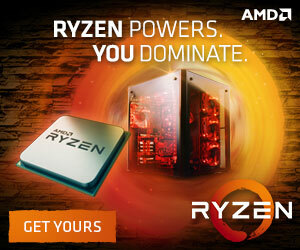 At Evetech we do not cater to people looking for just another run of the mill R1000 PC package. Apart from using quality brand name components rather than the cheapest possible parts, we have invested a substantial amount of time and money in designing a range of high performance award winning Custom Built PC's. As such at Evetech we appreciate that quality comes at a price and so we don't attempt to cut corners. We don't claim that we can make the cheapest PC's out there but we can certainly claim that we can offer some of the best. A:"Burn In" testing is the process of stressing PC components to a level that they could only sustain if they are fit for use and free of defects. All our Custom Built PC's go through an extensive Burn In and stress testing process to ensure that the product that reaches you is fit to handle the stress of regular use with ease. A: We offer after sales support and troubleshooting via phone and email. All our PC's are shipped with at least a One year return to base warranty that covers full Parts. At an extra charge we also have other warranty options such as collect and return warranties as well as two and three year extended warranties. A: Sure we can. The best thing to do is to call us on 012 653 0033 and we will discuss the custom built pc you have chosen and will give you different options to make that pc more affordable without compromising your needs. 12: Do you only accept card payments or can I pay by cheque / bank drafts / postal order/ bank transfer etc? A: Yes, you can pay by cheque / draft / bank transfer etc. In this case either select the package you want from our website, add it to your cart and then copy / paste the detailed specs in an email and send it to us at [email protected] saying you would like to order the PC Spec in your email and would like to pay via bank transfer etc. Alternatively you can simply call us on 012 653 0033 and we can deal with your query over the phone. A: Not all of our PCs come with operating systems. The best thing to do is to look at the spec of the PC you have ordered and see if the Operating System is listed on the spec or whether it says "None". If you have bought a PC without and operating system then it will come with no software apart from the drivers and any additional software you may have ordered. We do provide you the option to buy our PC's with the operating system pre installed and offer Windows Vista / Windows XP and Windows Media Center. The FAQs don’t answer my question?